Eryngium giganteum, common name Tall Eryngo. Currently providing a bright display on the front edge of the Hayrick is this Eryngium. 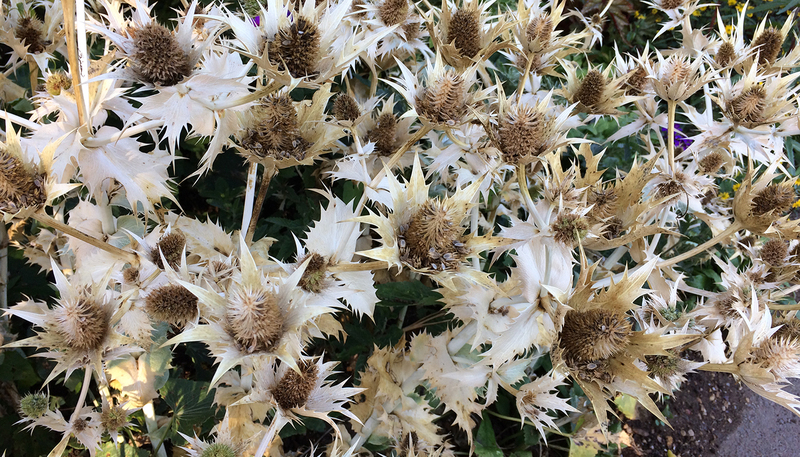 It is a hardy and robust perennial with a rosette of spikey basal leaves and spiny stems, it has blue flowers in mid-summer before they fade to the impressive display we currently have. They grow to approximately 1 metre tall in ideal conditions. 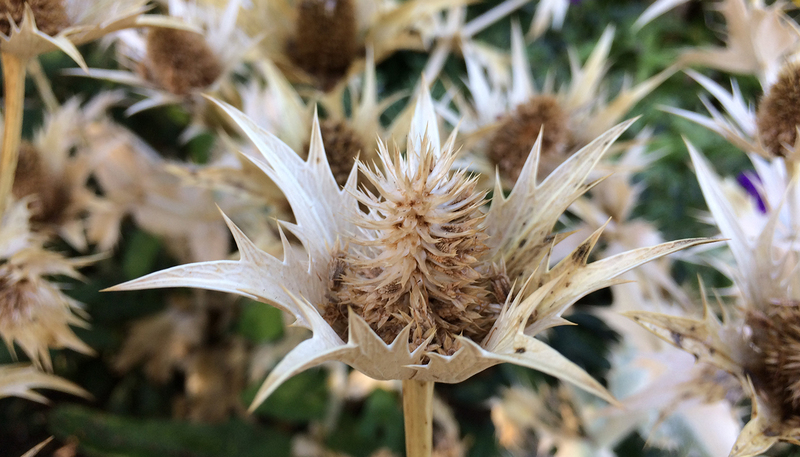 The old flower heads are a great addition to a winter garden, especially on frosty mornings.